Jose Gonzalez says he can trace his career path back to his first year at Fordham, when he ended up taking a work-study position as a phone-a-thon caller. Gonzalez, who graduated from Fordham College at Rose Hill in 1997 and earned a master’s degree at the Graduate School of Education in 2002, went on to work in alumni and development positions at several colleges and universities before joining Fordham Preparatory School as vice president for engagement, development, and communications. Working at Fordham Prep also means Gonzalez spends almost every day near a place that played a big part in his life. Though they didn’t meet until two years after he earned his undergraduate degree, Gonzalez’s wife, Anne, is a fellow Fordham grad (Gabelli School Class of 1996 and Law School Class of 2002). 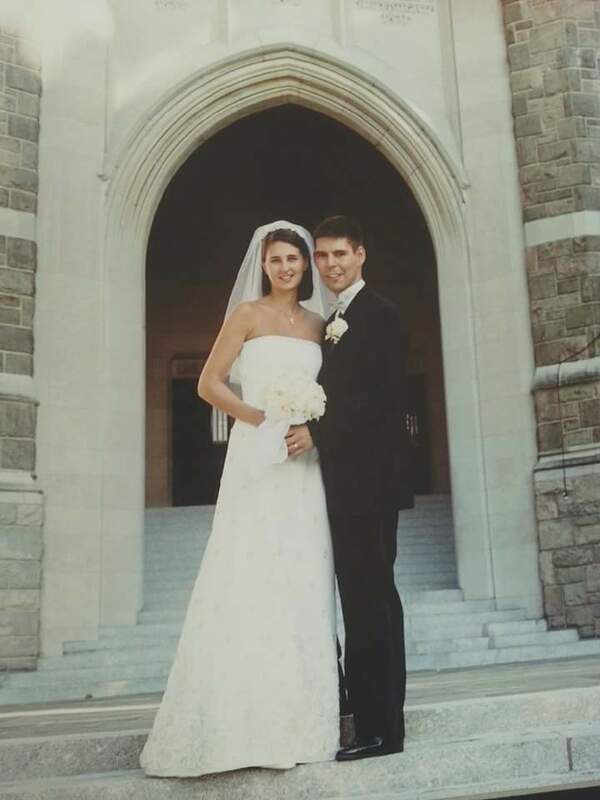 The two were married in the University Church—right across from Fordham Prep—and now have four children. That’s how Gonzalez ended up on the inaugural advisory board of the Fordham University Alumni Association (FUAA). One of his roles has been to help plan the first-ever RAMbassador Reception at the end of January. “We want to highlight the good that people are doing. That really ties to Fordham’s mission of being of the world and of being good role models,” Gonzalez says. I’m very passionate about my kids, my family, my wife, and trying to set a good example and giving them the same opportunity my parents were able to give me. Beyond that, I’m passionate about making sure that, whatever I’m doing, it’s really serving the greater good. I know that sounds cliché, but I really could never see myself doing something that wasn’t making an impact in some way, whether it’s providing access to education or something else. Throughout my career, wherever I’ve worked, mentors have always told me the same thing: Do something you’re passionate about. If you don’t, things become a chore. And that’s when things slip up and you just end up going through the motions. Be true to yourself and your passions and you will give it your best effort. What’s your favorite place in New York City? In the world? I love the energy of New York City. But I also love Central Park. When we come into the city from White Plains, the first thing my kids ask is if we are going to Central Park. They love the huge rock formations. That to me is the one spot in the city that is kind of the opposite of the energy, but you still feel you’re in the beating heart of the city. In the world, I love Barcelona. My father’s side of the family is from Galicia, but my mother’s side is from Barcelona, and I’ve always felt that city is a perfect combination of Gothic, old city, and new, modern city—all on a beach. To me, it’s one of the ideal places in the world. Whenever I get off the plane there, in a weird way, I feel like I’m at home. Name a book that has had a lasting influence on you. Good to Great, by Jim Collins. It was one of those books that I had to read in graduate school that has lasted for me. It gives great examples of little things you can do when you’re trying to change company culture, when you’re trying to look at how organizations or leaders were able to adjust the dial and accomplish goals. I still look back on passages of that book just to remind myself of things. Who is the Fordham grad or professor you admire most? When I was a student, Father O’Hare was president. For me, he embodied Fordham, and he really was the embodiment of what I imagined a leader to be. He could look at what needed to get done, look at the bottom line, but he still had a passion for Fordham and for the mission. He was the celebrant at our wedding, and he baptized one of our kids. So when I look back on Fordham, he stands out for me.